Justin Guy in action at Dondingalong. 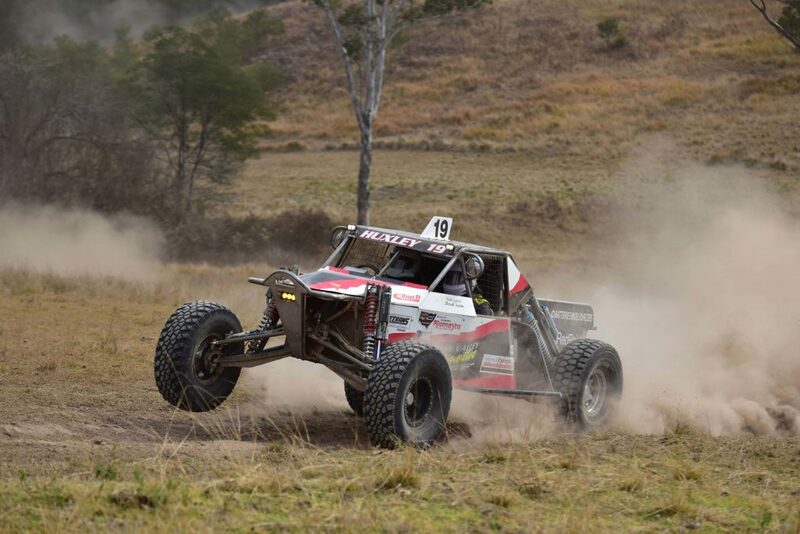 New South Wales Off Road Championship (NSWORC) contenders will enjoy a six-round championship in 2019, with traditional events set to challenge New South Wales’ best off road teams. The title race kicks off on 6-7 April at Colo Park, in north-west Sydney, thanks to the Sydney Off Road Racing Association. The Kempsey Macleay Off Road Club will host round two at their Dondingalong venue at Kempsy on 18-19 May, before competitors head to Milbrodale for round three on 20-21 July, run by the Hunter Valley Off Road Racing Association. Round four takes in Wirialda on 14-15 September, thanks to the Wirialda Motor Sports Club, while the Kempsey Macleay Off Road Club will host their second round for the year, the Kempsey 250, on 28-29 September. The NSWORC finale will again be held at Nabiac by the Central Coast Sporting Car Club, on 19-20 October. The 2018 NSWORC was taken out by Scott Brown and long time navigator Tony Burgess in their Super 1650.